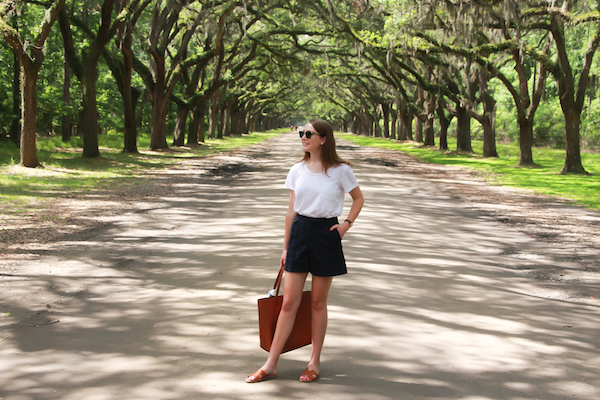 Recently, my summer uniform has been a plain t-shirt and a comfy pair of shorts. 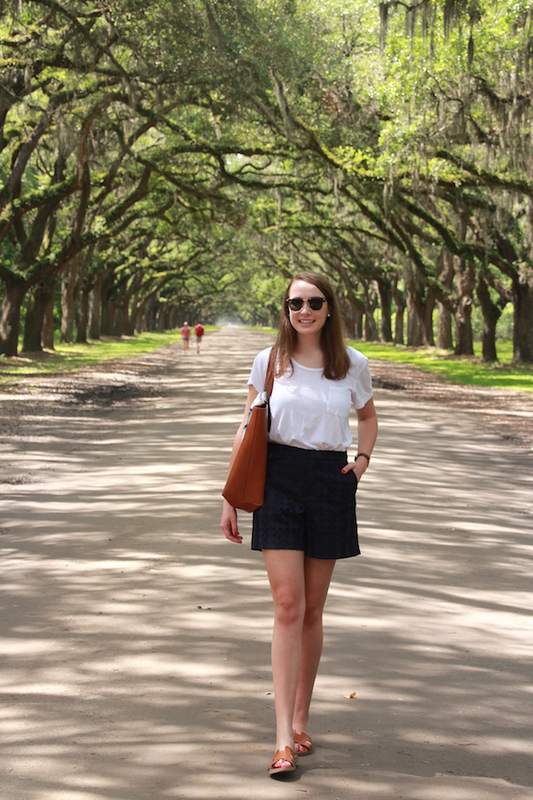 When I was in Savannah last week, I dressed this look up for the day by swapping my go-to pull on shorts from J. 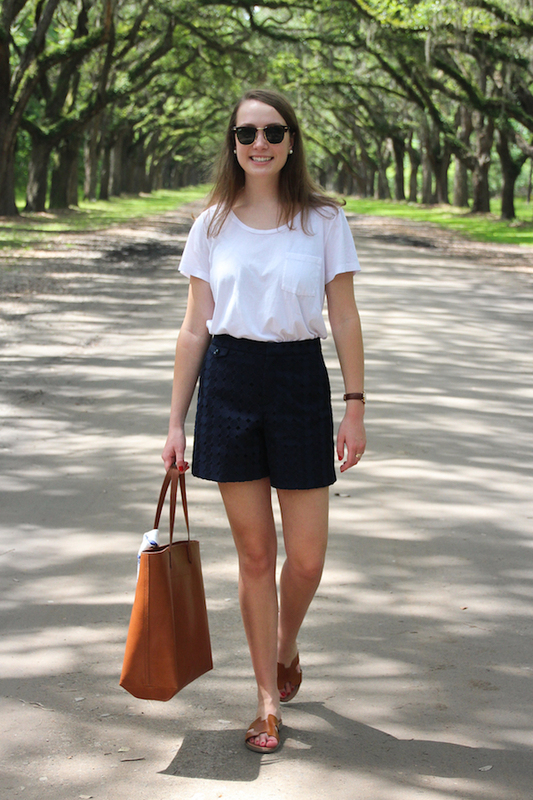 Crew Factory for this pair of fun navy eyelet shorts. 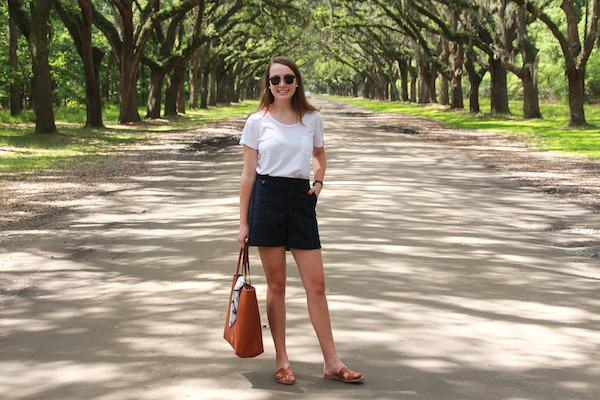 The shorts have a 5.5" inseam, so they're on the longer side, but are high waisted so I think they are still really flattering and wearable (I know bermuda shorts are trying to come back into style, but they're not my favorite). 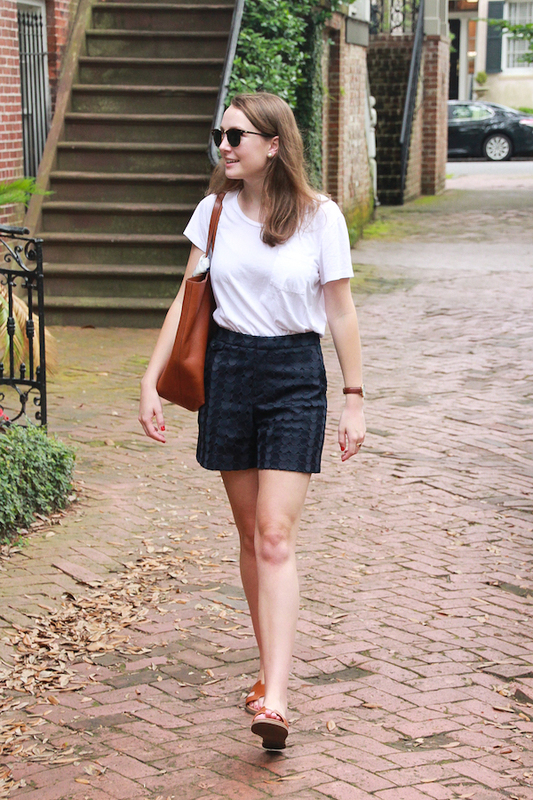 It looks like these exact shorts just sold out so I would keep checking back, but in the meantime, I found a pair of nearly identical shorts from Target that are under $25! 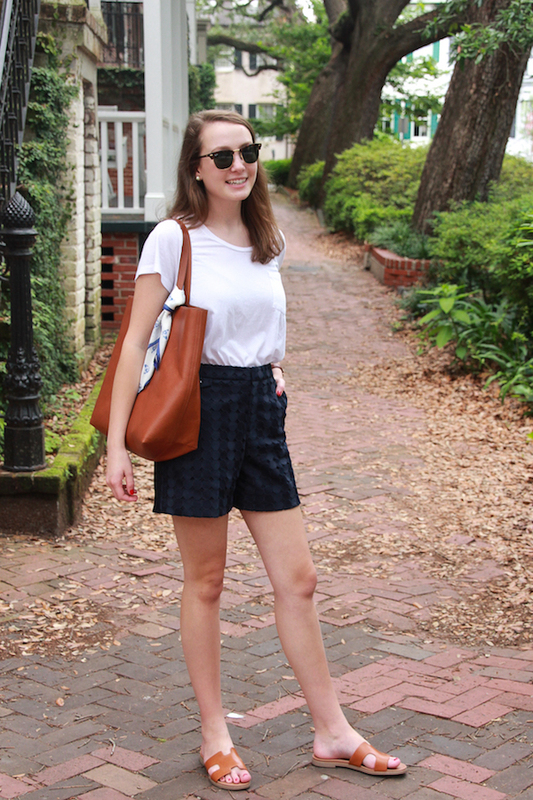 Since the shorts have the eyelet detail, I paired them with a simple white tee and the most comfortable sandals. I got these from the Steve Madden outlet and I have been wearing them nonstop, so I went to buy a pair of the same style at Off Broadway Shoes, but the version of these shoes sold everywhere else has a different insole and are not nearly as comfortable (I wouldn't recommend those). I searched all over the internet and found the exact same ones I have available on Amazon. I'm not sure how many they have in stock so I would order them ASAP! They're probably the most comfortable and easy shoes to slip on and I know I'll be wearing them nonstop this summer. I just love how put together this outfit looks while still being comfortable for a day of sightseeing. 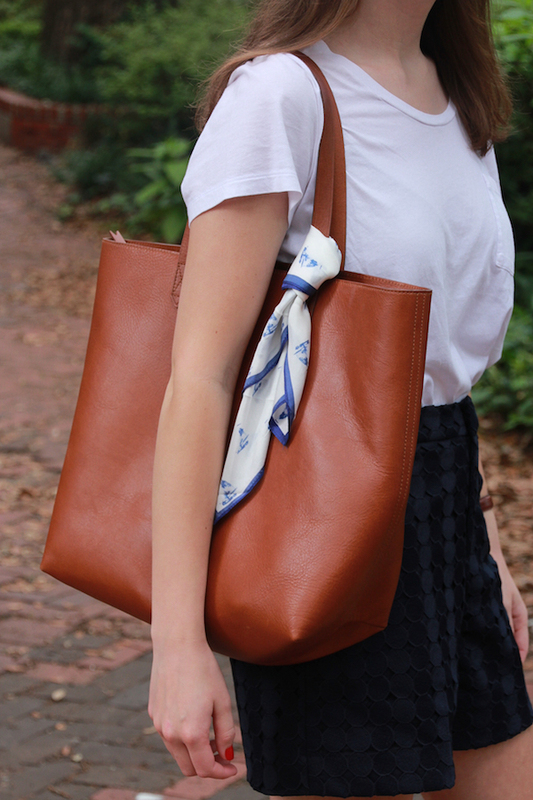 This would be a great outfit if you're traveling this summer or just headed to the mall and want to look a little dressed up.